Buckle up! Super-speedy reading fun with hotshot rookie racer Lightning McQueen. 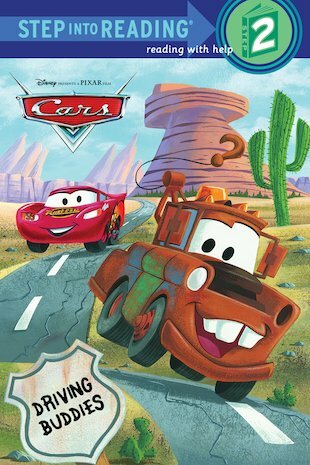 Race into reading with all your favourite Disney Cars friends. Lightning McQueen is on his way to a big race when… uh-oh. He seems to have got lost. But when he finds some new friends in a small town, he learns a big lesson. Winning isn’t everything, but friendship is. Speed up your reading with this awesome Cars story. Easy enough to read alone, with slamming Pixar artwork right through.